Selma had been undergoing strains similar to those experienced in Selma during the first month of the 1965 voting rights campaign. George Best of SNCC and SCLC’s big James Orange had moved into Perry County. These agitators had quickly turned out the schools, set the people to marching around the courthouse square, filling up the registration line, and crowding into the white restrooms in the court-house. But here the conflict was in a different, much more rural setting; and when a large white strategy session was held on February 17, the forces arguing for a policy of ignoring the agitators till they went away were overwhelmed by people who wanted blood. In fact, two important whites were physically assaulted for suggesting that it might be worthwhile to negotiate with the blacks. That pretty much settled the question. The next morning James Orange was arrested for contributing to the delinquency of minors, and the sinister blue Fords of Al Lingo’s state troopers began looming into Marion, with the colonel at their head. 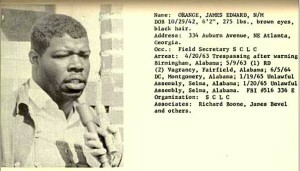 James Orange, SCLC organizer, arrested in Marion, Alabama. From “Individuals active in civil disturbances,” vol. 2 published by the Alabama Department of Public Safety, circa 1965. Dr. King’s staffer C. T. Vivian, having been released from jail in Selma Wednesday, was sent to Marion to address Thursday’s mass meeting at Zion’s Chapel Methodist Church, a weathered clapboard structure which stood on the southeast corner of the courthouse square. The scene in Selma being quiet for the moment, a squad of reporters followed Vivian to Perry County. The climax of the meeting was to be a night march. It wasn’t going to be a long walk, just out the church and down the sidewalk a hundred yards or so in the direction of the jail. If they were stopped, the plan was to kneel for a prayer, then return to the church and call it a night. They would do about the same thing if they got all the way to the jail. Rev. C.T. Vivian, left, was just out of jail, after being assaulted and arrested by Sheriff Jim Claark, center. Vivian came to Marion to preach at the mass meeting. Clark also showed up there, though it was out of his jurisdiction, in civilian clothes, but ready to rumble. Just then all the street lights around the square went out, and the troopers began clubbing the Rev. James Dobynes, a black minister at the front of the line. Dobynes, who had been chosen to lead the group prayer, began imploring his God in a loud, terrified voice, as the troopers dragged him away, still beating him. The reporters had been kept in a group back at the corner, and could not see what was happening at the head of the line. But when they saw clubs swinging and the people screaming and running back toward the church, they started out into the street to get a better look. At that moment they too were attacked, by a group of whites that had been standing around the corner. Richard Valeriani of NBC News was clubbed to the ground and left bleeding from a large head wound. A UPI photographer, Pete Fisher, was knocked down by one man while two others grabbed his camera and trampled it to pieces. Other photographers’ equipment was splattered with black paint amid shouted orders to get the hell out of there. NBC news reporter Richard Valeriani, beaten by troopers in Marion, at work from his hospital bed. The panicked crowd tried to get back into the church, but the doors were jammed full and the people spilled around it, down a side street, taking cover wherever they could. The troopers came after them, clubs swinging, splitting scalps and smashing ribs as they advanced. Two or three dozen people rushed into Mack’s Café, a few doors down, seeking refuge in its crowded, dark interior. Among them were Jimmie Lee Jackson, a young man twenty- six years old, his mother Viola and his grandfather, Cager Lee, eighty-two. The old man had already been caught and beaten behind the church, and was bleeding. His grandson was helping him out the door to get medical attention when a squad of troopers came toward them, chasing and beating people before them, and forced the two men back into the café. The troopers came inside, smashed all the lights within reach and began clubbing the people indiscriminately. When one hit Viola Jackson and knocked her screaming to the floor, Jimmie Lee lunged at him. The trooper struck him across the face, and young Jackson went careening into the floor himself. Then a trooper picked him up and slammed him against a cigarette machine while another trooper, a man named Fowler, drew his pistol and calmly shot Jackson point blank in the stomach. Jackson didn’t realize he had been shot until a few moments later, because the troopers continued beating him and the others unmercifully. Pulling himself up again from the floor, he ran blindly out the door of the café, clutching his stomach, headed back up the street past the church toward the bus station, where his car was parked. But more troopers were waiting outside, and he was struck again and again along the way, until he finally collapsed bleeding on the sidewalk. Someone finally picked him up and carried him to the Perry County Hospital. There the duty physician ordered that he be transferred to Good Samaritan Hospital, a Catholic mission facility in Selma, because Perry County had no facilities available for blood transfusions. 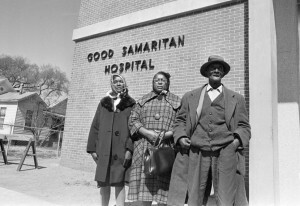 Jimmie Lee Jackson’s mother Viola, left, cousin Rachel Thomas, center, and grandfather Cager Lee, outside the hospital where Jimmie Lee Jackson was taken after he was shot. As ambulances sped off through the darkness down Highway 14 toward Dallas County carrying Jackson and the half-dozen others who required hospitalization from their beatings, trooper cars were still cruising through the unlit Marion streets looking for more blacks to attack. Awhile earlier, someone had noticed Jim Clark, dressed in civilian clothes but carrying his billy stick, standing near the courthouse square. “Don’t you have enough trouble of your own in Selma?” he was asked. “Things got a little too quiet for me over in Selma tonight,” the sheriff answered with a smirk. “It made me nervous. For the state troopers the action in Marion was like a shot of amphetamine to a speed freak. Twenty carloads had been loose in the town Thursday night, and following the scent of more excitement a similar convoy converged on the Dallas County Courthouse the next day. 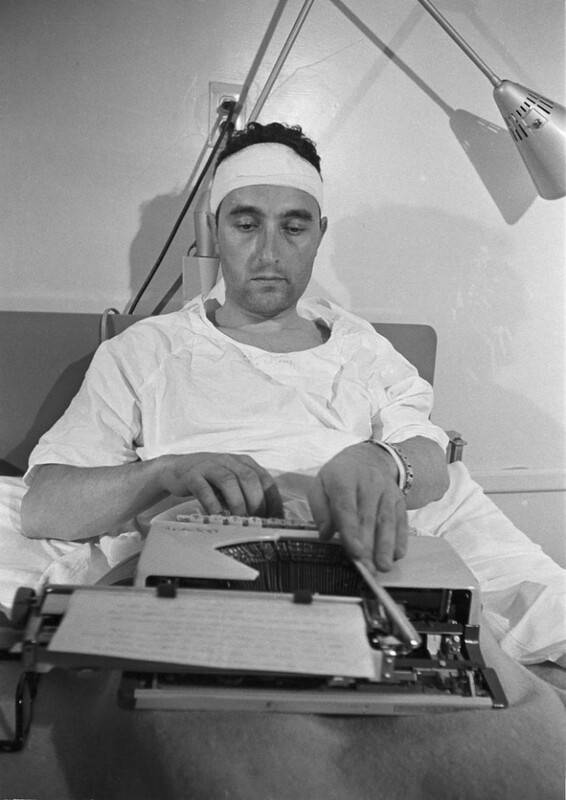 There was no holding them back now, and the complaints of the roughed-up reporters–NBC featured Richard Valeriani in his hospital bed, head stitched up and speech still slow from sedatives, on its evening news Friday–only made the adventure that much more heady. 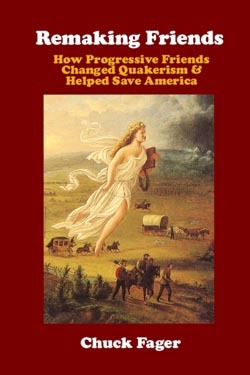 Such attacks were normally either completely ignored or massively downplayed by the local media, as part of the sealed-lips defensive policy most of the white South had followed ever since Reconstruction. It was part of the cloak of silent acquiescence needed while white supremacy was being re-established by any means necessary. 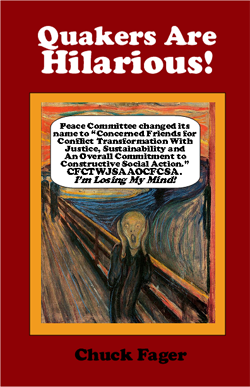 The custom went as far back as when Confederate General Nathan Bedford Forrest, the defender of Selma and the founder of the Ku Klux Klan, solemnly swore to a congressional investigating com-mittee in 1871 that no such terrorist body did or ever had existed. Down South they called it “lying like a gentleman.” Selma’s Confed-erate general, Edmund Pettus, gave similar testimony in his turn. 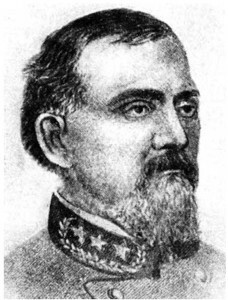 General Edmund Pettus. Lying like a gentleman? 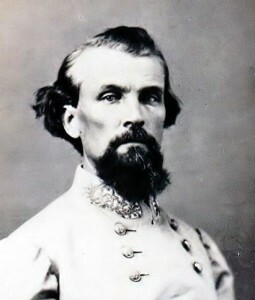 General Nathan Bedford Forrest. Notorious as NOT a gentleman. But a capable liar nonetheless? The mayor of Marion, Mr. R. L. Pegues, spoke out of this tradition when he was interviewed the next day about the troopers’ assault on the march. “Actually,” he said, “very little went on, and what did go on was by the church. 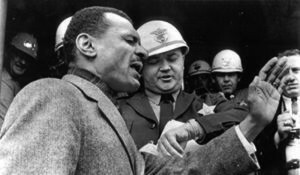 It all happened in a very short time –about three minutes.” He blamed “outside leadership from Selma” for the trouble, adding, “they were determined to take over the town. They wanted a night march, and of course, we can’t have that. Quite frankly, it wasn’t much of a battle.” Governor Wallace’s press secretary said he had information that Jimmie Lee Jackson had gone after the trooper who shot him with a bottle. People like Pegues, Clark, Lingo and many others thus despised the reporters, who broadcast the crudities of their expression, exposed their lies and revealed the violence of their behavior, almost as much as they despised the black agitators. This went especially for the Yankees among them, but did not stop there: even the Selma Times-Journal received a steady stream of hate mail for paying so much attention to the “agitators.” It gave the troopers and their cohorts a special satisfaction to have kicked some of the reporters’ well-dressed electrified Yankee asses. But on Monday, February 22, Dr. King returned from a weekend in bed fighting a fever, led a morning march to the court-house, and went to pray with Jimmie Lee Jackson in the hospital. That night, across town, the Dallas County Citizens Council was coming into ominous life that same evening. It had a new chairman, former Mayor Chris Heinz, and a new target: the soft policies of the new mayor and his public safety director. 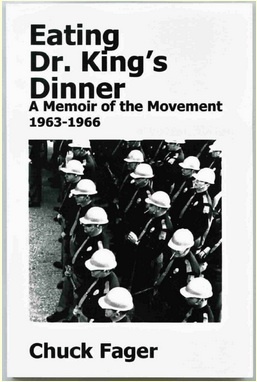 Two thousand people were on hand, including the mayor, the sheriff, and all the other important people in the area except Baker, to hear Ross Barnett, the former governor of Mississippi, who had become a national figure of sorts with his defiance of federal attempts to enroll James Meredith at “his” state university in 1962. 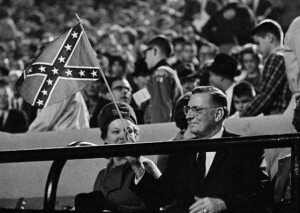 Then Governor Ross Barnett of Mississippi, at a football game, with his favored ensign. On Tuesday in Montgomery, the Alabama state senate, meeting in special session to consider Governor Wallace’s controversial plan to provide free textbooks for all the state’s schoolchildren, paused in its deliberations to pass a resolution supporting the state troopers actions in Marion of the eighteenth. Col. Al Lingo, anticipating this support, had served Jimmie Lee Jackson in the hospital with a warrant charging him with assault and battery with intent to murder one of his officers. 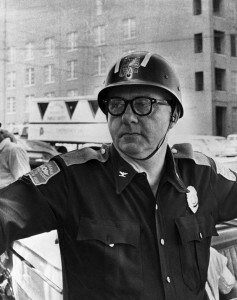 Col. Al Lingo, Alabama State Troopers commander, 1965. This only served to keep Jackson’s shooting and the need to protest official brutality on the mind of Dr. King’s tacticians. King had promised the people on Monday night, that there would be a large demonstration in Montgomery soon, to take their case and their demands direct to the foot of the capitol steps. On Thursday night, James Bevel spent some time walking around alone outside the Torch Motel where he was staying, agonizing over his own problems and the problems of the movement, especially those involved in making their cries for justice and protection from state-sanctioned brutality more vivid and inescapable for the watching nation. Suddenly he had an idea that he felt sure would bring home the situation as nothing they had tried before had: they would not only march in Montgomery, they would march to Montgomery, starting in Marion where Jackson had been shot, through Selma where Clark had jailed them, and down U.S. Highway 80, through Lowndes County where no blacks were registered at all, fifty miles to the state capitol itself, where Wallace would be unable to ignore them. 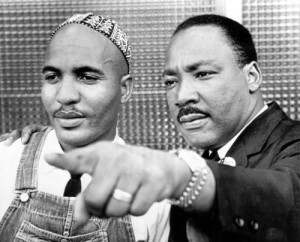 James Bevel and Dr. King, 1965. That was it. Bevel felt it was just the right response to the present situation and the mood of the people. Bevel could hardly sleep for excitement at his inspiration. That same night Jimmie Lee Jackson began having difficulty breathing, and soon slipped into shock. After midnight doctors opened up his stomach cavity to see what was wrong and found a massive, overwhelming infection. They worked feverishly for four hours trying to clean it up, without success. By morning Jackson was dead. It was February 26, 1965. The plan to march from Selma to Montgomery is announced to the press. At left is John Lewis, who led the first march tempt on”Bloody Sunday:” March 7. SCLC’s Andrew Young is next to him. 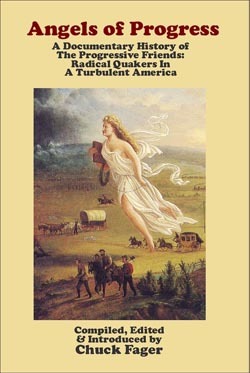 Behind Young, at right, is the author. After Jackson’s funeral, the plan to march from Selma to Montgomery was announced to the press and public. Forty years later, in 2005, a reporter for the Anniston, Alabama Star found James Fowler, then age 70, on a farm in south Alabama. 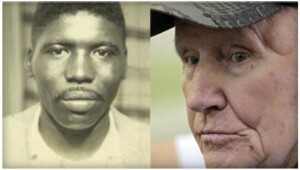 Fowler had shot and killed another young unarmed black man in 1966. Then a few years afterward, he was fired from the state troopers after severely beating a colleague. Two grand juries had looked into Jimmie Lee Jackson’s death; they filed no charges. Fowler admitted to the reporter that he had shot Jackson, but said it was in self-defense. After the Star‘s report was published, black legislators, then part of the Democratic majority in the legislature, demanded a new investigation. Five more years passed, but on November 15, 2010 he pled guilty to one count of second degree manslaughter. He was sentenced to six months in prison. He served five months, then was granted early release due to ill health. Reportedly the FBI is “investigating” the killing by Fowler of the second young black man, Nathan Johnson, in 1966. 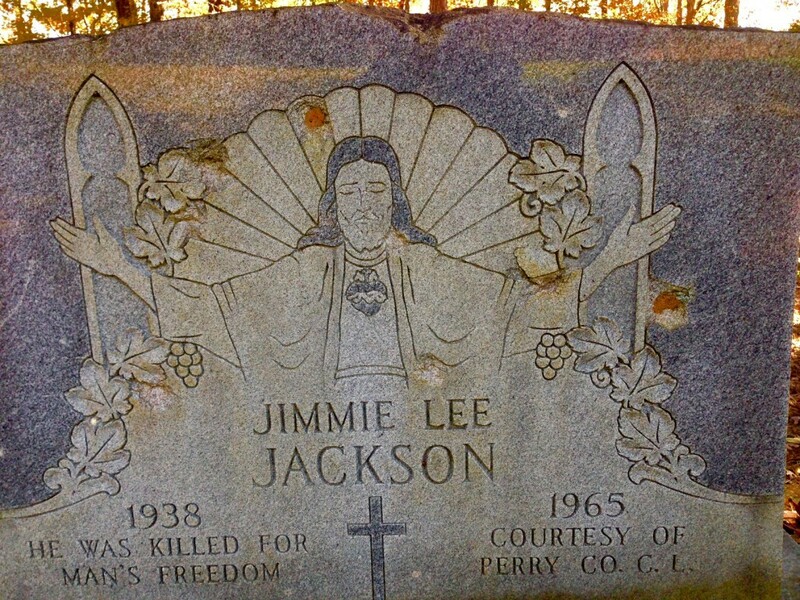 Jimmie Lee Jackson is buried in a small unfenced cemetery by highway 14 outside Marion. His headstone is the largest of the several dozen markers there. As this photo from November 2014 shows, the headstone has been repeatedly used for target practice by unknown persons. Numerous bullet marks are visible in the photo, and a chunk has been blown off the top. 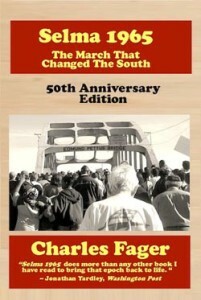 — Adapted from Selma 1965: The March That Changed The South. 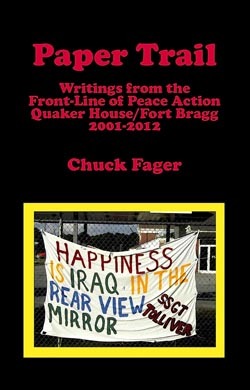 Copyright © by Chuck Fager. Doug Jones is now a senator.